Revolutionary Guards accuses United States of "provoking tensions" after two incidents in the Gulf. A senior official in Iran's elite Revolutionary Guards on Wednesday accused the United States of provoking tensions after two separate incidents in the Gulf last week, AFP reported. 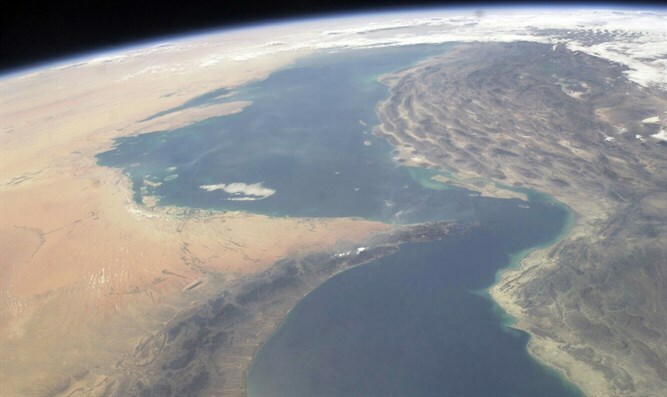 "A U.S. Navy ship crossing the Strait of Hormuz changed its international route and approached to within 550 meters of Revolutionary Guards' boats in an unprofessional way," the official, Mehdi Hashemi, was quoted as having told the Guard's website Sepahnews. Hashemi blamed actions by the United States and the United Kingdom in recent days for the incidents and said those actions showed they have "harmful, illegitimate and provocative objectives". "Not only do they not want stability and security in the Persian Gulf and the Strait of Hormuz, but they seek to create tensions and a crisis," he charged. Earlier this week, American officials said that Iranian military vessels had a close encounter with a U.S. surveillance ship last Saturday in the Strait of Hormuz. The officials described the incident as an “unsafe” and “unprofessional” maneuver by the Iranians. Two days earlier, an Iranian frigate came within 150 yards of the civilian-crewed USNS Invincible. In both cases, the U.S. ship had to change course to avoid a collision, Pentagon spokesman Navy Captain Jeff Davis said. Tensions between the United States and Iran in the Gulf are ongoing. In January, a U.S. Navy ship fired warning shots at Iranian boats near the Strait of Hormuz, after five Iranian vessels approached the USS Mahan and two other American ships that were entering the strait.